The traditional style kitchen has resisted trends to remain the classic example of enduring design in this most important of rooms. 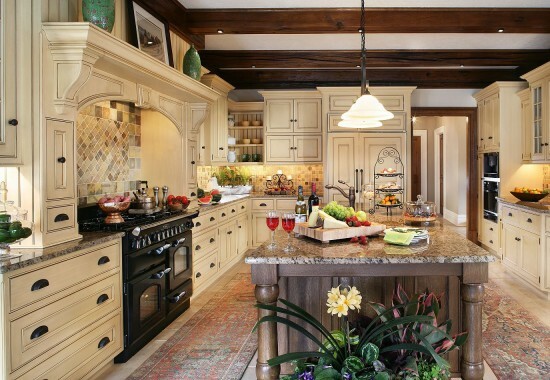 The classic traditional kitchen keeps to its stylish function while maintaining elegance. 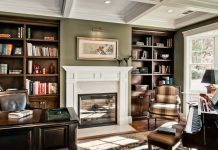 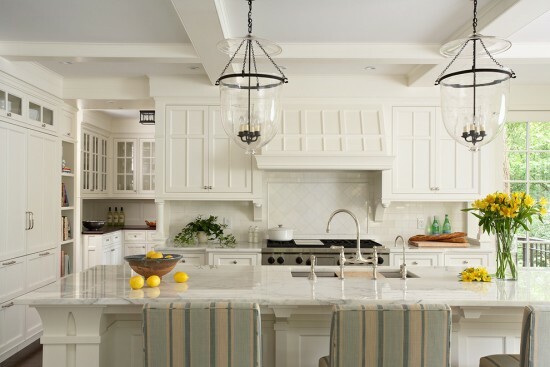 Quality wood cabinetry with elegant detailing, furniture-style elements, luxurious counter and flooring materials and classic lighting fixtures highlight the enduring style of the traditional kitchen. Beautiful cabinetry with plenty of cubbies for displaying and storing kitchen wares is one of the traits of the traditional kitchen. 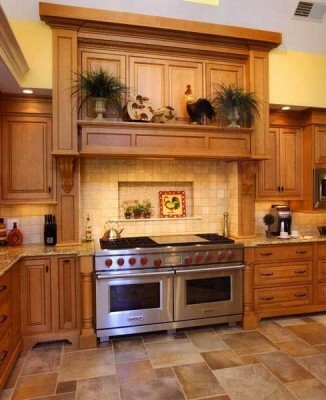 Wood range hoods with ledges and shelves for display top decorative tiles behind the stovetop. 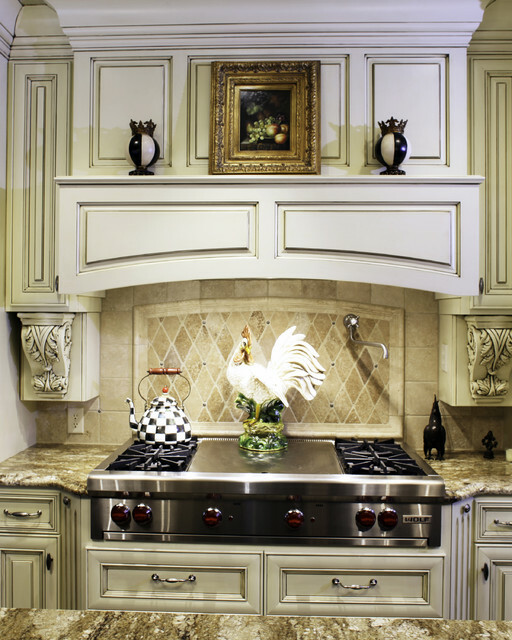 Fixtures and cabinet hardware are metals with rich patina such as antique bronze, copper and brass. This hardware accents nicely the rich stain or antiqued painted treatment of the cabinetry. 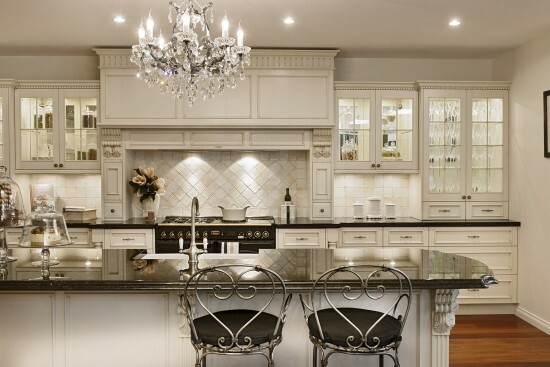 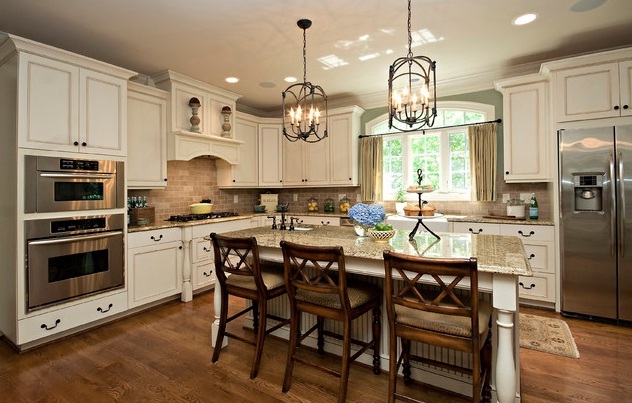 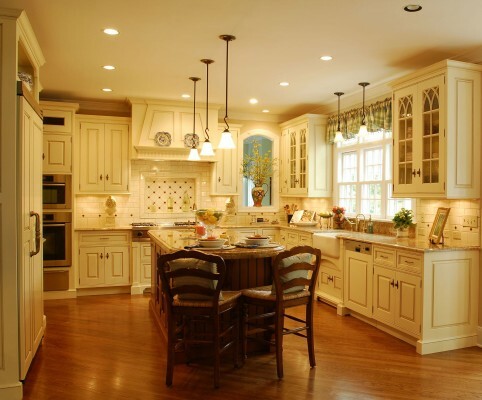 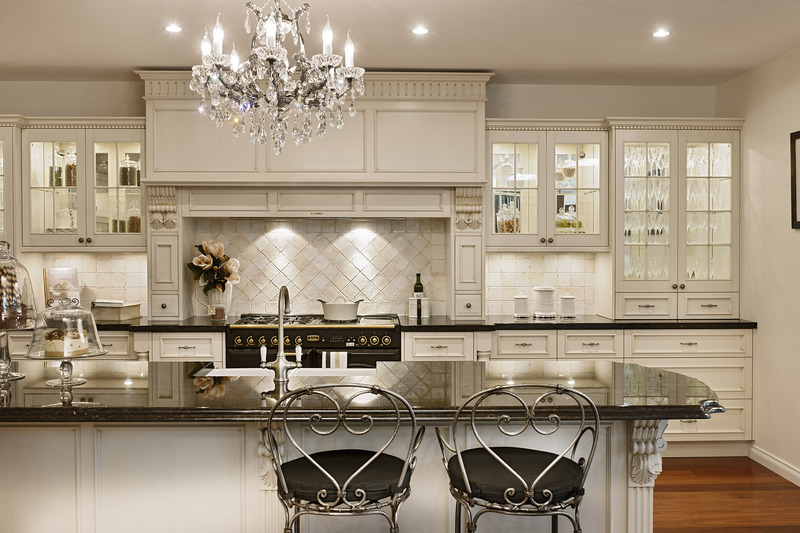 Traditional kitchens are lighted by chandeliers and elegant pendant lights. 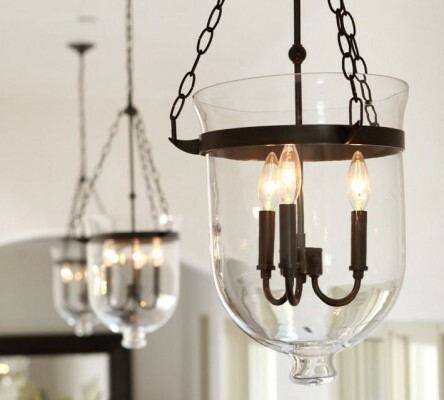 The inverted glass bell jar is a popular lighting choice in the traditional kitchen. Furniture details, such as corbels and decorative moldings, enhance the traditional kitchen’s cabinetry. 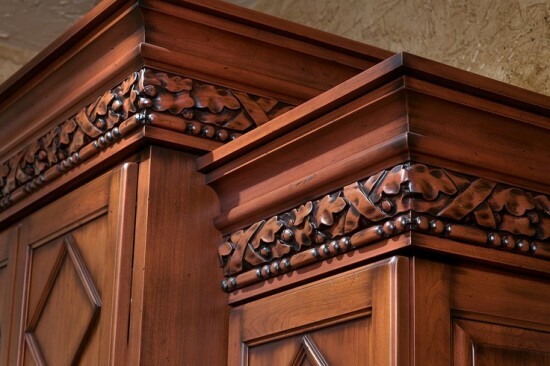 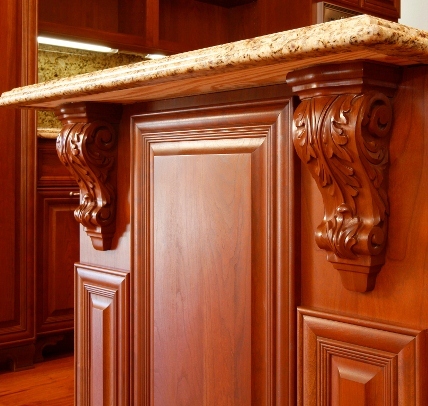 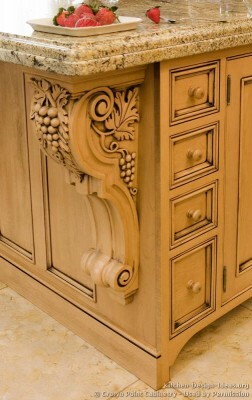 These features add character, substance and elegance to cabinetry. 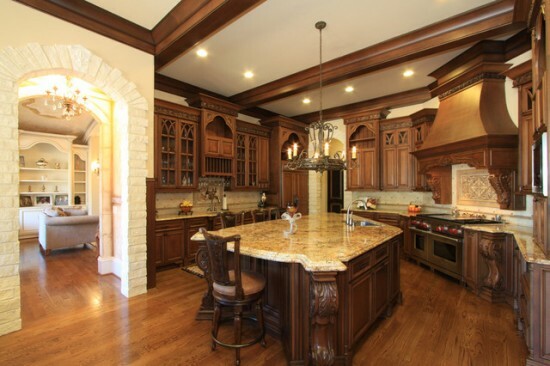 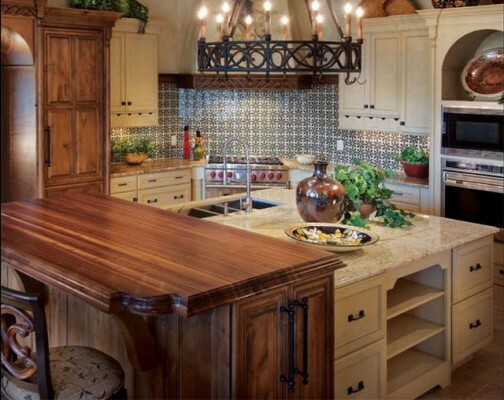 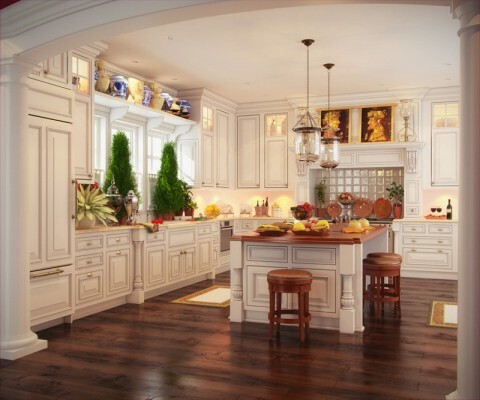 Large, furniture-style islands grace the traditional kitchen with elegance and function. 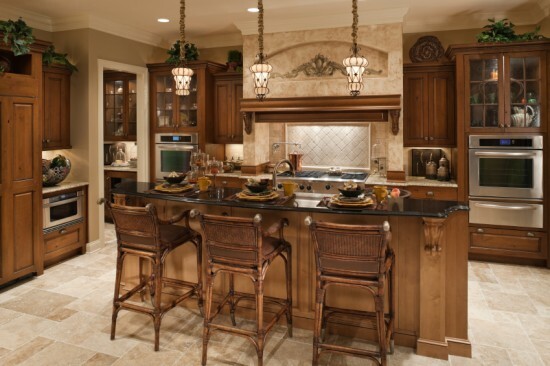 Useful for storage, meal preparation and for casual meals, the island anchors the kitchen. 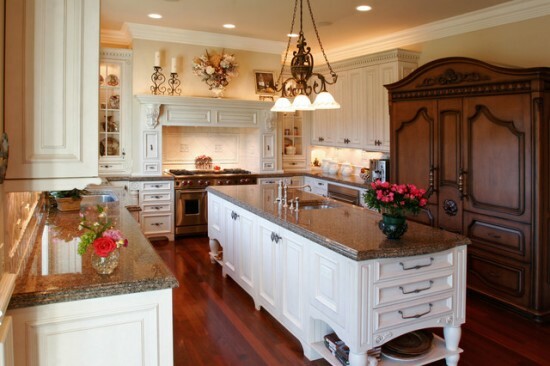 The flooring in the traditional kitchen is tile, hardwood or, for a touch of elegance, marble. 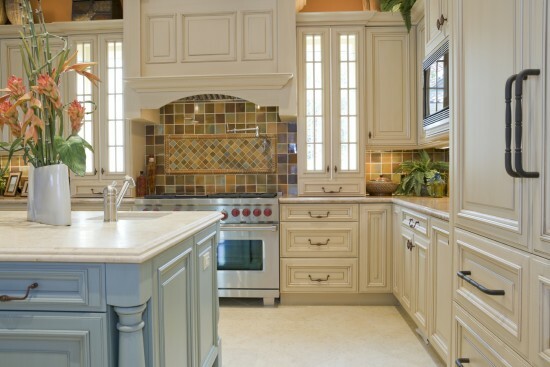 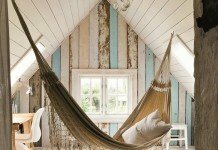 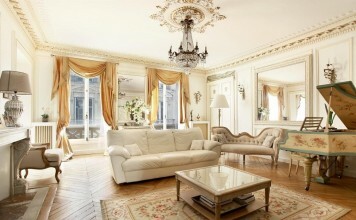 Woven rugs are used to add softness, texture and color. 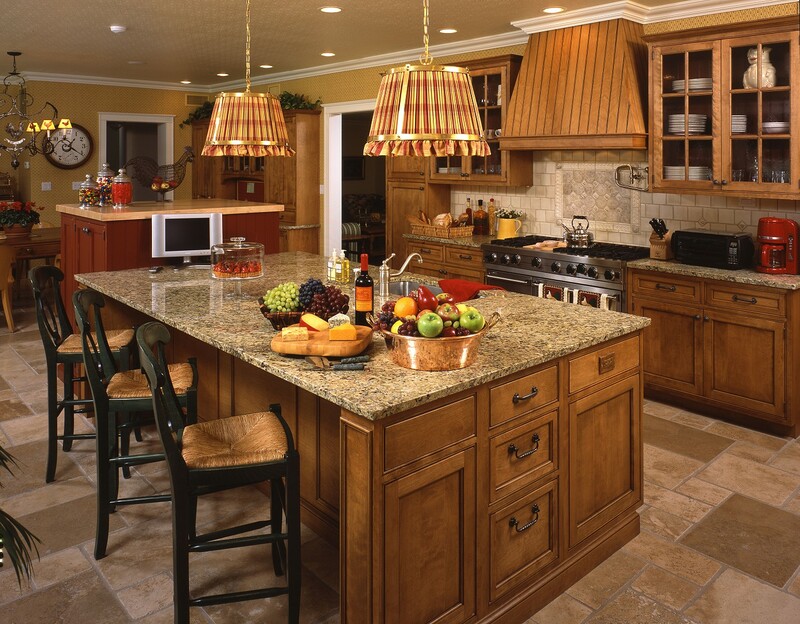 Countertops of granite, marble and quartz add elegance to the traditional kitchen. 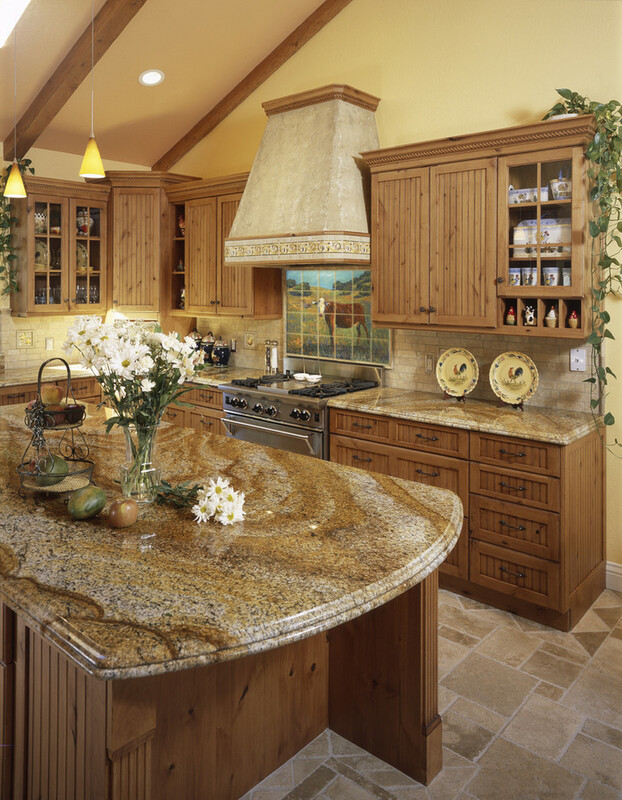 Often, wood countertops on the island add contrast and pair beautifully with the stone throughout the rest of the kitchen. 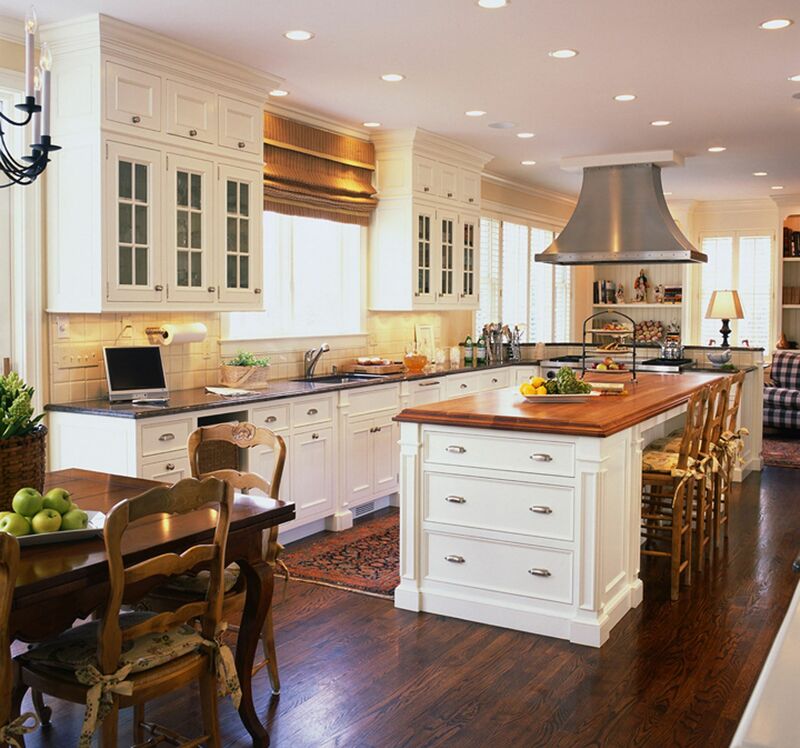 Accents such as containers of lemons, bowls of fruit and fresh flowers add natural color to the traditional kitchen. 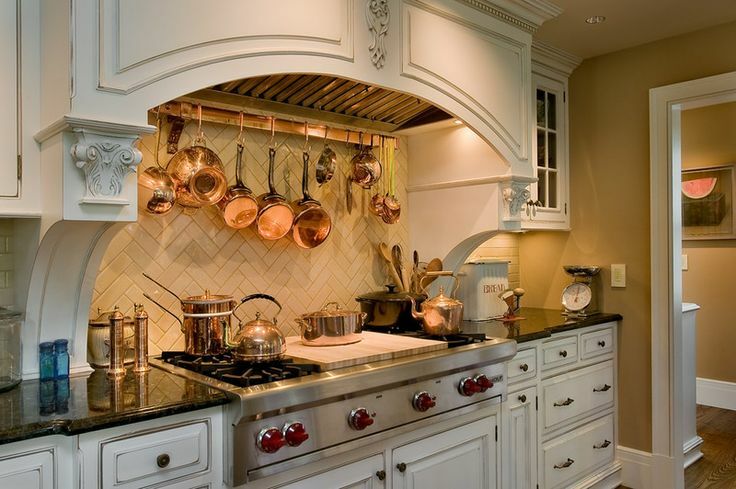 Copper accents add shimmer, texture and warmth to the kitchen. Traditional kitchens are graceful, elegant and functional. 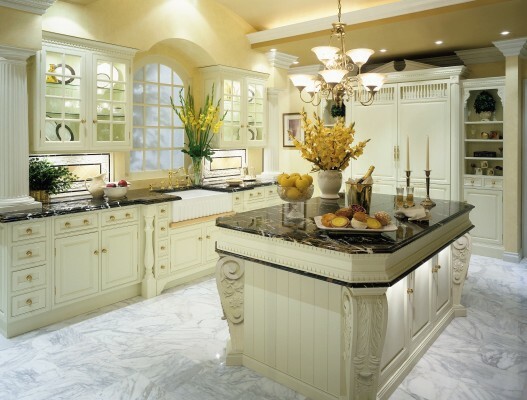 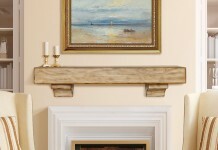 They are a style that is built on years of steadfast design. The traditional kitchen is the heart of the home and offers comfort, convenience and warmth. 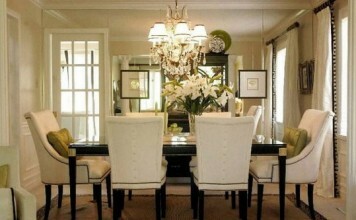 It is a style that will endure.